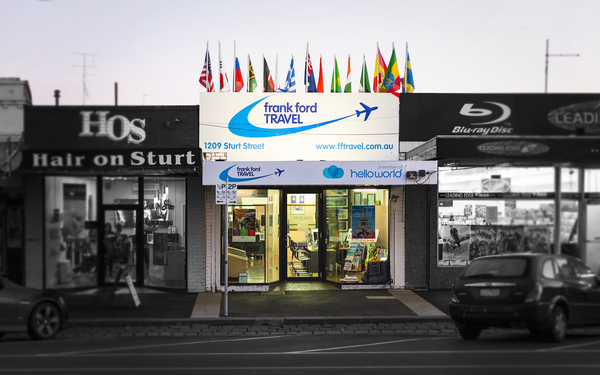 Frank Ford Travel, the Very first known Travel Agent ,established in Ballarat, in 1970. Combined Travel Experience of well over 100 years , we still like to embrace our younger Members of Staff and we support them, to gain the already Wealth of Knowledge, that we have within our Agency. We are moving ahead, just like Hello World, with a Fresh Approach towards Travel in the Future..